Oregon Rep. Earl Blumenauer on Friday called for a federal investigation into whether taxpayer dollars are being improperly spent on events critical of marijuana that he said appears to be aimed at influencing the upcoming statewide vote on the measure that would legalize recreational use of the drug. In a letter to White House drug czar Michael Botticelli and another top federal administrator, the Portland Democratic congressman weighed into a flap over the propriety of a series of October events in Oregon that prominently feature Kevin Sabet, a national opponent of legalization. "The bias of the speakers selected, the overall one-sided focus of the events, and the proximity between these events and the upcoming elections are cause for concern," wrote Blumenauer, who has been one of the chief supporters of marijuana legalization in Congress. Clatsop County District Attorney Josh Marquis, the chief spokesman for the campaign opposing marijuana legalization, charged that Blumenauer was attempting to "bully" anyone from discussing the potential harms of marijuana use. Marquis, who also planned to speak at some of the events, said that sponsors of the tour have made it clear all along that they would not allow discussion of Measure 91, the legalization initiative. "I don't think they want anyone talking the fact that marijuana is a drug and has issues," said Marquis. "This is political thuggery." Blumenauer said in a press conference that he's not trying to stifle debate on marijuana. But he argued that opponents purposely scheduled a series of one-sided presentations on the drug just before the Nov. 4 election to sway the results. "I think they were electioneering," Blumenauer said. "I think they got caught." Sabet's appearances in Oregon were sponsored a series of local drug-abuse prevention groups that receive federal funds. An initial two-day drug summit in Madras that was to be paid for with federal funds was canceled, but replacement funding was provided by the Oregon State Sheriff's Association. 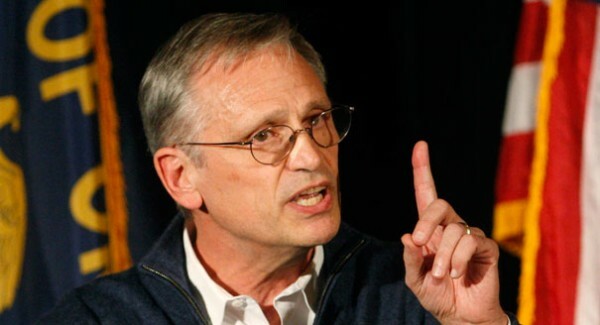 In his letter, Blumenauer said he was also concerned about federal funds used to pay for anti-marijuana ads around the state that could influence voters. He said that Mandi Puckett, an official for BestCare Treatment Practices who worked on placing the ads, is also a member of the No on 91 campaign. Puckett could not be reached for comment Friday morning. On her work phone, she is listed as being on leave from her job since Aug. 21. Originally, the Madras Summit on Oct. 1-2 was to be followed by a 12-city tour. Marquis said the summit has been scaled down to one day and he said the "Oregon Marijuana Education Tour" may only involve four or five events.